Giles Gaffney has asked me to help him on his quest to find more information regarding the area around Lower Watergate and Butchers Row and in particular parts from a missing map. Here's his email to me and he would be grateful for any help. 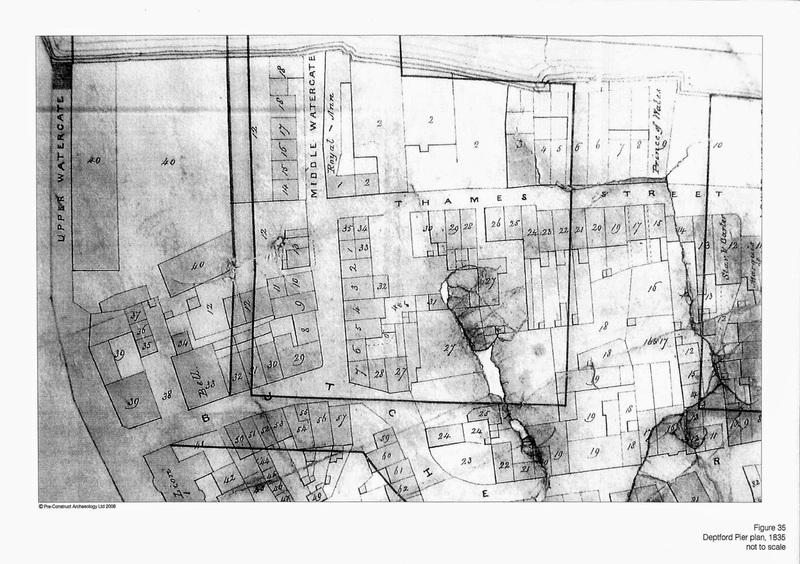 I am attempting to trace the source of this map (below) left by the Deptford Pier company upon demolition of the old village centre, which may span further south and east compared to the excerpt reproduced by Pre Construct in an archaeological report from 2008. It shows the numbering and position of all the buildings, including the names of the pubs/taverns, but is cropped before taking in Lower Watergate where another pub existed (below). this Deptford Pier Company map details the owner and the occupier of each building, as well as listing the function of a building, such as public house or baker for instance. I have two different copies of the map which does indeed reach further south. I don't recall whether it reaches further east as the Deptford Pier proposals would not have directly impacted this area. If you need more information you can reach me msh1708@yahoo.com. I dont think this is the correct way to make contact but I am not familiar with the right way so here goes. Can anyone help me in finding out more information about Demee or Bigsby families in the area. 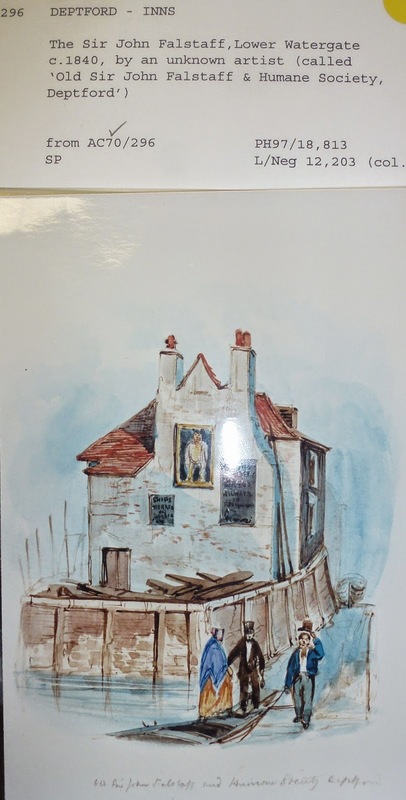 I know that William Demee was assigned the New Cross Inn in Deptford in 1809 with his wife Ann (nee Payne)(it is poss that her family owned it or at the very least were in the trade. A Demee also was the owner of the New Cross Coffee House in 1809 according to a newspaper article. William Bigsby married their daughter Mary Anne and was assigned the the Old Fountain Inn in Deptford in 1826. In future generations Bigsbys were Varnish and Paint manufacturers. Can anyone tell me more about any of these?